casio gold watch | Badudets Everything Nice! 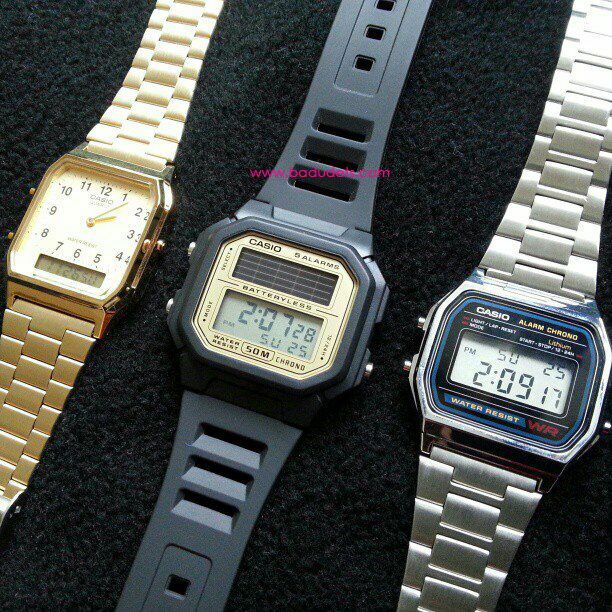 Casio vintage watches are hot items since last year. Fashion bloggers always wear it on their outfit posts especially the gold watches. I got tempted to buy from Multiply/Facebook shops but I managed to wait until our HK trip last November. Good thing I waited because I was able to choose, see and fit the actual watches before buying. Since I can’t choose one, I bought two watches and Jeff bought one for himself.